Entitlement Management: It helps you to provide precise and perfect support to customer. It provides features that let you define, enforce and track the service level as a part of customer support management. And you can track the working bandwidth of your customer support Agents. Entitlement Process : Entitlement processes are timelines that include all the steps (or milestones) that your support team must complete to resolve support records like cases or work orders. Each process includes the logic necessary to determine how to enforce the correct service level for your customers. Milestone : Milestones represent required, time-dependent steps in your support process, like first response or case resolution times. Milestones are added to entitlement processes to ensure that agents resolve support records correctly and on time. Service contracts : Service contracts in Salesforce represent a customer support agreement between you and your customers. You can use them to represent warranties, subscriptions, service level agreements (SLAs), and other types of customer support. Following are the steps to enable the use of Entitlement Processes and Service Contracts in Salesforce. Go to Setup, enter Entitlement Settings in quick fine box. Check the Enable Entitlement Management Checkbox, click on save. Customize the entitlement Page Layouts and fields according to Business Use. Go to Setup, enter Entitlement Settings in quick fine box, you can see more settings are available in Settings page. Enablement of Version : If you want to maintain multiple versions of entitlement process, Check The Enable Entitlement Versioning Checkbox, Otherwise keep it unchecked. Set Up Entitlement and Asset Lookup Filters on Cases : You can select which of the filters should apply on Entitlement Name Field, where we can set the entitlement process which is registered to the asset only. Select the appropriate checkboxes according to your business needs, and then click on Save. Milestone Feed Items : If you want to enable milestone tracking in Feeds you need to check the Enable Milestone Feed Items checkbox, otherwise keep it unchecked. Set up Entitlement Template : Entitlement templates let you predefine terms of support that users can add to products. Go to Setup, enter Entitlement Template in quick find box. Click on New Template. Enter the Entitlement Template Name, to provide specific name to the entitlement template. Enter Entitlement Process Name, for which entitlement Process you want to add the template. Enter the Business hours of the case in Business Hours Field. Enter the Type of Entitlement Template, Either Web or Phone Support. Go to Setup, enter Milestones in the Quick Find box, then select Milestones. No Recurrence: The milestone occurs only once on the record. Independent : The milestone occurs whenever the milestone criteria are met on the record. Sequential: The milestone occurs on repeat whenever the milestone criteria are met on the record. Milestone Feed Tracking in Salesforce Classic. Go to Setup, enter Entitlement Processesin the Quick Find box, then select Entitlement Processes under Entitlement Management. Select an entitlement process type, Either case or work order. If work order setup is enabled for your org then you can see work order, otherwise you can see case only. If you want to enable the process, select Active. Optionally, if entitlement versioning is enabled, select Default Version to make this version of the entitlement process the default. Choose the exit criteria for the Process by selecting one of the above option on <Record>(Case or Work Order) enters the Process field. A) Based on Record is Closed. B) Based on custom criteria. Optionally, choose the Business Hours you’d like to apply to the entitlement process. The business hours you set here calculate the Target Date for all the milestones on this entitlement process. Customize Service Contract fields according to your Business Requirements. Customize Page Layout of Service Contract Object, add Status Icon field, so that users can easily understand whether the Service Contract is Active or Inactive. Add Service Contract related list to Account and Contact Page Layouts. For the ease of business users we can create reports on entitlement and on service contracts. For the effective tracking of case resolution and time management for support system. When creating email templates, email rendering is useful so you can see how your email looks in major email clients and browsers. Preview email formatting in the top email clients and browsers. See how emails look with images turned off or while in the recipient’s “preview” mode. Test your email against major spam filters and junk folders. a. Create an email template > under testing click on “New Render” > Publish. b. Marketing > Emails > Test. Once the rendering is done the status will be updated as completed and you can preview your emails. As per the standard functionality if someone clicks on unsubscribe link the prospect gets opted out but Sometimes there might be scenario where one would like to track the date when the prospect has opted out. Create a custom field with the data type as DATE. ACTION: Change prospect custom field > (select the custom field created in step 1) > today. In this way whenever any prospect unsubscribe the date will be tracked in the custom field. An AutoFill with LinkedIn button can be added to your landing page so that visitors can easily complete forms with their public LinkedIn profile information. By using this button all their linkedIn details will be auto populated and the visitor can directly submit the form. Create a landing page on which you want to add the AutoFill with LinkedIn button. Add a forms to your landing page. Click on LinkedIn AutoFill Plugin Generator page. Form field population: For each Form Field you wish to map, select the corresponding LinkedIn Field. Each LinkedIn Filed can only be mapped once. Hidden Form Fields cannot be mapped. If no mapping is selected, LinkedIn AutoFill will maps them automatically with LinkedIn data. The plugin will auto generate the code as per the fields mapped and then this code can be added on the landing page where the button needs to be populated. For Parsing purpose we generally create model class or struct or enum for now lets create struct for country name , dial code and country code as below,. Here if you observer? we have confirm Decodable protocol to struct. Let move to next step as ??? ?PARSING Phase ???? as below,. ? ? ?? PARSING is successful…….?????? Now lets parse array? of country ?. No worry it is so easy to do. You have to make Country as a array. Flatmap is used to flatten a collection of collections. Sort an array simply by describing how you want the sort to work. You can do this simply by indicating the direction of the sort with a > or <. Great, but what about “amrita” starts with a lower case letter????. Now let’s try out something more complex like below:,??? For user-visible sorted lists, we should always use localized comparisons. Fortunately, strings have another property called localizedLowercase. This will sort according to lastName only.Obviously the first names need to be compared as well. You can achieve this by putting the two comparisons into a tuple. Generate a true/false by checking if any element in your array satisfies a condition. Related to filter, but returns a Bool, rather than an array. eg. Let’s say we need to know if our fruits array contains a seven letter name. Drops elements from your array while a condition is true, stops checking when it encounters an element that shouldn’t be dropped. Let’s say we want to drop all elements at the beginning of the array that doesn’t contain the letter ‘s’. You’re probably familiar with the first property that retrieves the first element of an array, but did you know you can pass in a condition to get only the first element that meets that condition? Let’s say we want the first element of the array that contains the letter ‘r’. The forEach higher order function is a cool tool for your programming arsenal – basically short-hand for the for-inloop. Let’s say we want print the lowercase version of every name in our Names array. The partition method partitions the elements of your array based on a condition. Elements that meet the condition are placed last in the array. You may be familiar with the components method on String, used to split a String based on a separator. To use the split method on a String, you would use it on the String.characters property, which is a String.CharacterType, which adopts the Collection protocol, giving characters access to many of the same cool higher order functions that Array has access to. Once you’ve separated String characters with split, you’ll have an array of something called a SubSequence, that you can pass in when initialising a String – you can do this on each element of your new array using the map higher order function to end up with an array of Strings. let str = "I can't believe it! These higher order functions are like magic. Don't you think? Well, maybe not magic, but pretty useful all the same." So here we have seen most of Higher Order Function. Hope you like this. Move View/ScrollView to keep TextField visible when keyboard appears! There is a very common but tricky part comes while handling textfields position when keyboard appears. Its sometimes become headache for developers to handle such small but tricky issue. When keyboard appears then some textfields get covered and user can’t see while editing it. There are some solutions to handle this but many of them works only for the first time. And then doesn’t work. I have found one best solution and it works great always and I have modified this code to work on Swift 4. I have used XCode 9.1 for this tutorial code. You will have to create new project to try this. Design your storyboard like the image from below link. And set delegate of all textFields to ViewController. @IBOutlet weak var myScrollView: UIScrollView! @IBOutlet weak var constraintContentHeight: NSLayoutConstraint! //4 This method is called from selector. So it requires @objc keyword and this method will adjust your scrollView (here myScrollView ?) and textFields to show as original. This method will adjust your scrollView and will show textFields above the keyboard. let kbSize: CGSize = ((info[“UIKeyboardFrameEndUserInfoKey”] as? CGRect)?.size)! The traditional way of managing and documenting test cases on paper, in wikis, bug tracking tools or general document management systems quickly reaches its limits. TestRail enables you to create, manage and organize test cases and suites within an optimized user interface and application structure. TestRail’s todo lists, filters and email notifications help coordinate test runs and increase the productivity and responsibility of testers. The goal is to make sure that every team member knows his tasks at all times and that team leads can assign new tasks to testers depending on their workload. To make important project decisions, it is critical to have access to detailed information about the testing progress and test results. Questions such as “How many percent of a test run have we successfully completed?”, “How are we progressing on the upcoming milestone?” or “Which tests have been executed in the past 24 hours?” can only be answered efficiently by using a comprehensive test case management software such as TestRail, and TestRail makes these details readily available. The organization and coordination of multiple parallel tests, be it for different projects or releases, is often complex and time-consuming. To not lose track of your testing efforts, TestRail helps you manage important software-specific data and structures such as project milestones and makes it easy to integrate with bug tracking tools. After logging in to TestRail, the first page you usually see is the dashboard. The dashboard provides you with an overview of available projects, recent project activities and your todos. When you navigate to a project (by clicking on a project title), you switch to the project view and land on the project’s overview page, showing project details such as test suites, active test runs, project activity and so on. Whenever you need to switch to another project, just return to the dashboard by clicking the link in the upper left corner. A test case in TestRail consists of a description of the test’s prerequisites, a list of test steps and the expected result. A test case can ideally be verified by a single tester in a short period of time and confirms a specific functionality, documents a task or verifies a project artifact. In TestRail, test cases are organized into test suites. A test suite is a collection of test cases and is often created for specific project modules or areas. How you organize your test suites depends on the size of your project. If you have a lot of test cases for a project module, it is recommended to further break down your test suites and create suites for specific features or functionality. Ideally, a test suite consists of 50-1000 test cases. To run a test and enter test results for the cases you added, you start a test run for a particular test suite. While a test suite is just like a plan that specifies how an application is tested, a test run is an actual test you are conducting.For most projects you will most likely start multiple test runs for a particular test suite over time. For example, if you are releasing multiple versions of a software program, you might want to conduct a test run for each new release. Likewise, you can have multiple test runs for a particular test suite active at the same time. This can make sense if you want to execute a particular test suite for multiple configurations (such as different operating systems). You can then start a test run for each different configuration you want to test against. By default, new tests have the status Untested. Once a test result has been added to a test, it can never receive the Untested status again. A test is marked as Passed when a tester verified the test steps and the expected results. A tester marks a test as Failed if one of the specified test steps resulted in an error or if the expected result differs from the actual test result. If a developer or tester determines that a test should be tested again, she marks the test as Retest. E.g., if a test originally failed and the developer fixed the problem, the developer can mark it to be retested. The Blocked status is used to signal that a test cannot be executed currently because of some external dependency (such as a bug that needs to be fixed before being able to complete to test). It is often used in combination with the Retest status. When you need to manage multiple test runs and configurations for a single project, TestRail’s test plans come in handy. A test plan allows you to start multiple test runs at once, either if you have many test suites or if you want to test against multiple configurations (where a configuration can be anything you need to test your project against, such as different operating systems or web browsers). To create a test plan, simply click the Add Test Plan button from the Test Runs & Results page. Now just select one or more test suites from the sidebar to add them to the plan. Just like you do with a single test run, you can configure all properties of the test runs such as the name, the cases you want to include and so on. Tests can be assigned to team members. You can either assign tests when a run is created or do so afterwards from the run or test pages. Once a test has been assigned to a user, the test appears on the user’s todo list. Every user has its own todo list for each project she’s working on, while the Dashboard provides a quick way to see the user’s todos for all projects. The todo page can also be used to view the todos of other team members or the entire team at once, providing an easy way for team leads to assign tests to team members with the least workload. Another relevant feature are email notifications. Email notifications help test owners to learn about test changes made by other users. For example, if a test has been assigned to a user (i.e. the test owner) and another user adds a comment or result to the test, the test owner is notified by email. It is also possible to subscribe to tests of other users or even entire runs by clicking the small email icons on the relevant pages. Besides making it easier to manage test suites and enter test results, providing an easy way for all team members to track the test progress is one of TestRail’s most useful features. You can view the test results and testing activity of runs, milestones and entire projects on the individual resource pages. CAPTCHA is a randomly generated string (or a set of images) that appears when verification is required. It is an essential requirement for cutting down the spam at a website. In many cases, it is the only line of defense a website has against bots that spam websites. 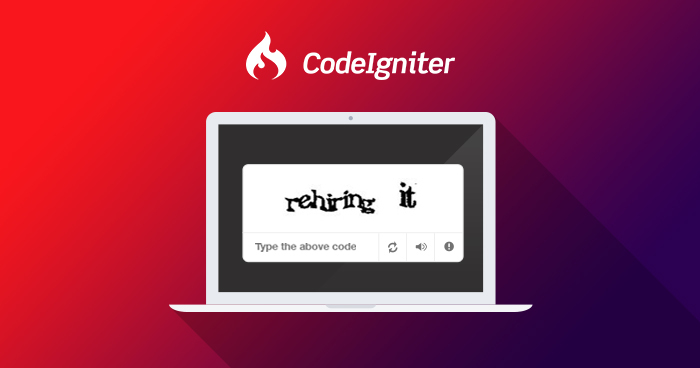 In this tutorial, I will demonstrate how you can easily implement CAPTCHA in your CodeIgniter projects. The process starts with the creation of the Controller. Here is another method that is used to call in CAPTCHA through CodeIgniter helper and then validate it. Group chat is a very easy and good approach for having the communication in any mobile application. Today we are going to dive into an implementation of “Group Chat Using Firebase”. While implementing this functionality in mobile application the very important and challenging task is creating an UserInterface for chatting screen, so for designing this screen we will go with the “JSQMessageViewController” it is an open source library for chatting. First of all create a new swift project, Now open terminal window and enter the command : cd (your project path). After this command we will enter into our project folder, for using JSQMessageViewController we need to install pods into our project. Again go to terminal window and run “pod install” command. (It will install all the dependencies of JSQMessagesViewController to our project and also create a new project file with .xcworkspace extension). Now open projectName.xcworkspace file in xcode. We are done with all prerequisites for chat screen design, JSQMessagesViewController have used collectionView for showing message bubble, so to display the message bubble into our project we need to implement all DataSource & Delegates for CollectionView created by JSQMessagesViewController. It is very important to display all chat messages taken place in chat group so that need to be pushed/dump somewhere and retrieve from somewhere. So for achieving this we are going to use “FIREBASE“. Firebase is a mobile and web application development platform. It also provides a realtime database, so to achieve the above mentioned scenario we will use the firebase as a database.To create an environment for using firebase into our app we need to follow some steps to setup some prerequisites, please take a reference from this link https://firebase.google.com/ for more info. Login with your gmail credentials. click on “Go To Console” on top right corner. Fill up all the required information on the given popup and click on “CreateProject”. Now go to “Authentication” tab on left hand side, click on sign-in methods and enable “Email/Password” by clicking that field. Go to “Project Setting” -> “General” -> “Add firebase to your app” and fill all the information and complete the procedure. At the end it will create a .plist file that you need to add into our project. After importing .plist file to our project it’s time to install PODS for firebase. Open existing Podfile from project. Add pod ‘Firebase/Core’ to Podfile, save and close the file. Follow all the steps whichever we done for installing JSQMessagesViewController pods. Now you are perfectly ready with environment to implement chatting app in iOS using firebase as a realtime database.